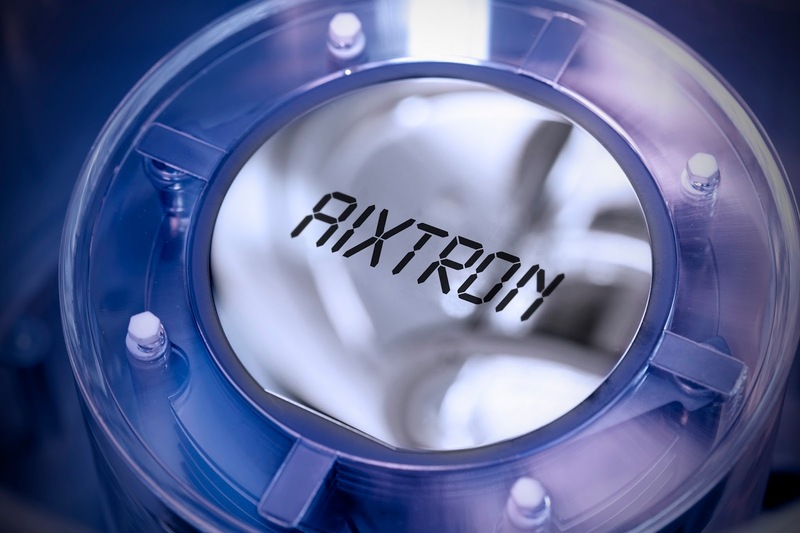 AIXTRON SE (FSE: AIXA), a worldwide leading provider of deposition equipment to the semiconductor industry, today announced that the École Polytechnique Fédérale de Lausanne (EPFL) in Lausanne (Switzerland) has purchased a BM NOVO system. This versatile tool which can produce virtually all variations of 2-dimensional materials (2D) required for emerging optoelectronic applications is dedicated to support the University’s research projects coordinated by Prof. Andras Kis and Prof. Aleksandra Radenovic. 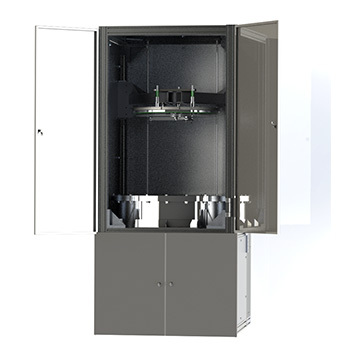 AIXTRON’s BM NOVO system uses a unique combination of plasma-enhanced chemical vapor deposition (PECVD) technology and metal organic chemical vapor deposition (MOCVD) technology to enable the growth of high quality 2D materials such as transition metal dichalcogenides (TMDCs) e.g. molybdenum disulfide (MoS2) or tungsten diselenide (WSe2). ESPOO, Finland, 27th September, 2017 – Picosun Oy, leading supplier of advanced Atomic Layer Deposition (ALD) thin film coating technology, reports of a new breakthrough and repeat sales into metal industries. Picosun’s large scale production ALD systems have been chosen for high volume manufacturing of functional coatings on steel products at various customer locations around the world. Picosun has developed comprehensive ALD solutions for metal surface treatment already for years with its customers and collaboration partners, gaining unrivalled process and design know-how on the topic. With the production-optimized PICOSUN™ ALD equipment, large batches of three-dimensional items can be processed with highly uniform, dense and conformal coating quality down to every microscopic surface detail. Various industries have already selected Picosun’s ALD systems to manufacture e.g. bioactive coatings on metal-based medical implants, and anti-tarnish films to protect coins from discoloration. 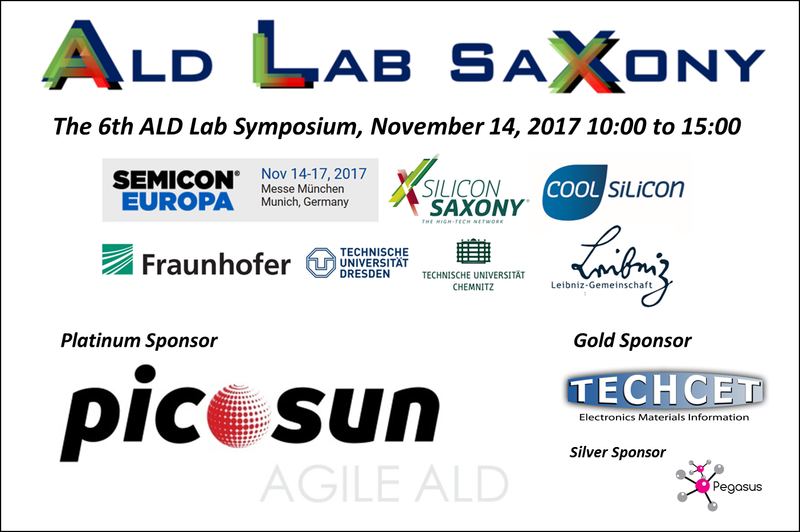 Please be invited to participate in the annual ALD Lab Saxony Symposium at SEMICON Europa on the 14th of November (10:00 to 15:00) in Munich Germany. The event is free of charge for all visitors to SEMICON Europa and we are very thankful for the sponsoring from Picosun Oy (Platiunum). TECHCET LLC (Gold) and Pegasus Chemicals (Silver). In collaboration with the EU COST networking project HerALD, Polish Vacuum Society, Institute of Physics, Polish Academy of Sciences invites you to the next edition of the conference "High-k oxides by ALD", which will be held in Wroclaw, Poland, on March 7-10, 2018. New challenges offered by the application of ALD based high-k dielectric materials in nanotechnology will be discussed by more than 80 participants from industry, research institutes and universities. The conference is continuation of NaMLab workshops - a stimulating European platform for application-oriented scientists to exchange ideas and discuss latest experimental results on process technology, new results in the field of ALD-grown dielectrics for solar cells, transparent conduction oxides (TCOs), and for silicon based micro- and nano-electronics. The 2018 edition is organized in Poland to increase integration between Eastern and Western Europe countries. March 7th - 10th (Wednesday evening to Saturday morning). Merck currently has 660 employees stationed in Taiwan. The company has a global workforce of around 50,000 people. LUMINEQ reports: Watches are experiencing a retro-heritage boom as the Insta generation has turned its smartphone lens to classic timepieces. Remakes of classic '50s designs are taking advantage of the retro wave, and even haute horlogerie is getting hot with younger consumers moving into the fine timepiece market. 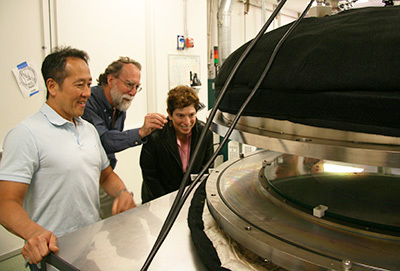 UC Santa Cruz researchers is working with Structured Materials Industries to design and build an atomic layer deposition (ALD) system large enough to accommodate telescope mirrors. 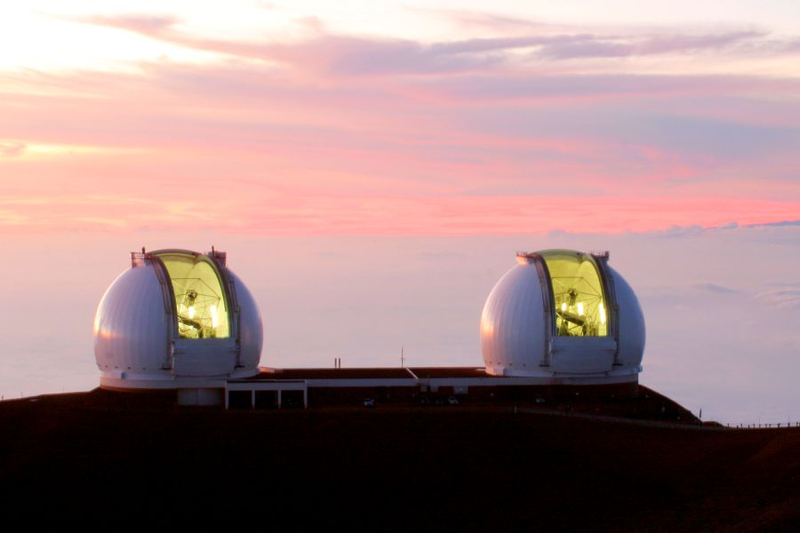 To be specific they will deposit a protective optical coating for large silver-based telescope mirrors by ALD. UC Santa Cruz Reports: The new system was delivered to Kobayashi's laboratory in July, 2017 and has performed well in initial testing. The researchers will use the system to demonstrate that it works for telescope mirrors and other large substrates and to continue perfecting the coatings. The system can accommodate a mirror up to 0.9 m in diameter, and there is no reason the design could not be scaled up to accommodate larger mirrors or mirror segments, Phillips says. The 10 m primary mirrors of the twin Keck Telescopes in Hawaii are composed of hexagonal segments 1.8 m across, and the mirror segments for the Thirty Meter Telescope (TMT) will be 1.4 m across. The Astronomical ALD system will be used to deposit protective coatings on silver-based telescope mirrors (Picture from UC Santa Cruz). 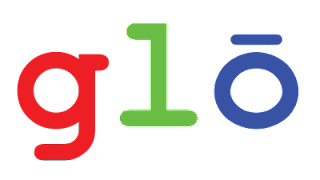 This summer Google announced that it has invested 15 million USD for a 13 percent stake in Glo, a Swedish Lund University spin-out focused on creating nanowire-based LED-displays for mobile phones and smart watches as well as AR- and VR-applications (LINK). Now Aixtron Reports: AIXTRON SE (FSE: AIXA), a worldwide leading provider of deposition equipment to the semiconductor industry, announced today that it has received an order for an AIX G5+ platform from Swedish-American company glō-USA, Inc. The group focuses on the commercialization of micro-LED (mLED) products based on their proprietary defect-free GaN nanowires technology. Such 3D structures enable the growth of mLEDs while maintaining the reliability of an inorganic material system. AIXTRON’s AIX G5+ Planetary Reactor® system was selected in the scope of glō’s strategic expansion and will be delivered with an 8x150 mm configuration in the course of Q4/2017. ALD Nano today announced that its Board of Directors has appointed Wayne Simmons as Chief Executive Officer effective September 2017. Dr. Simmons was also elected to the Board of Directors. He will replace Founding CEO, Mike Masterson, who will assume the role of Executive Chairman with an added advisory role for key markets and will continue to serve as Chairman of ALD Nano's Board. The company has also announced that Joe Spencer was elevated to Vice President of Engineering and that its employee base continues to expand with new hires in areas including engineering, science and business development. “This is the right time for Wayne Simmons to become ALD Nano's next CEO. We've selected a successful leader at a time when ALD Nano’s global leadership in ALD on particles is growing in existing and new markets ,” said ALD Nano Chairman Mike Masterson. “I joined ALD Nano because I wanted to be a part of a company that is solving important challenges for advanced materials that are transforming industries," said Wayne Simmons. “This company has built over a decade of ALD expertise with all of its business and scientific founders still active. Together, additional expertise has been added over the years that creates a wealth of institutional ALD knowledge to deploy into commercial markets." About ALD Nano: Principally located in Broomfield CO, ALD NanoSolutions was spun out in 2001 from premier atomic layer deposition (ALD) laboratories at the University of Colorado to industrialize ALD applications. We use our patented Particle ALD TM technology to improve a number of products including battery and lighting materials. Through our efforts, we have engineered new processes and tools that we support and sell from lab to production scale. We are also integrating our Polymer ALD TM technology into an advanced manufacturing system to bring low cost barriers to the packaging industry. Our principle objective is to leverage our expertise to help our customers develop successful commercial products. We are a dynamic and flexible company with a long history of successful relationships with clients ranging from venture-backed startups to Fortune 50 corporations. 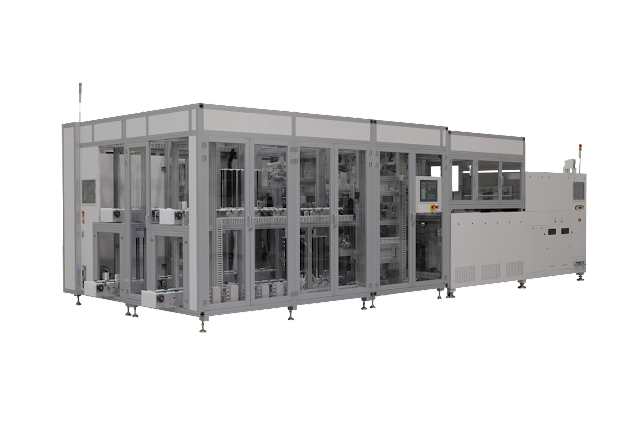 NCD has recently supplied Full Automation System to Chinese Tongwei Solar for solar cell manufacturing ALD equipment. This is Full Automation System including pitch changer to supply wafers automatically to Lucida GS ALD Series which had already installed in the customer site for high quality Al2O3 thin film deposition. The connection of ALD and Full Automation System to handle wafers automatically will make faster and more convenient ALD process. In the future, the sales of Full Automation System along with ALD equipment will be increasing because most customers will need more productivity and more efficiency of work. Here is an excellent workshop at RWTH Aachen that I visited once organized by Oxford Instruments. Now this is a full 2 day event with a lot of interesting talks and tutorials on plasma processing including ALD offcourse. Forge Nano is pleased to announce the completion of its Intellectual Property roll-up initiative for Atomic Layer Deposition (ALD) enabled battery materials, methods of manufacturing, and products. Through a series of patent filings, acquisitions, and licenses, Forge Nano is pleased to offer its customers and partners a comprehensive IP portfolio to incorporate the benefits of ALD surface modification coatings into battery products for enhanced safety, lifetime and end-use performance. Forge Nano is currently accepting licensing offers for this portfolio, with the anticipation of closing on a first round of field-limited agreements by the end of 2017. Claim 1: An electrode comprising a plurality of particles having a diameter of maximally 60 μm, wherein the particles are coated with a protective layer having a uniform thickness of about 2 nm or less, wherein the protective layer of the particles is obtained by atomic layer deposition, and wherein the particles are lithium-containing particles. With the handover of the grant approvals to Fraunhofer and Leibniz, the Federal Ministry of Education and Research (BMBF) launched on April 6, 2017 the first research fab operating throughout Germany. 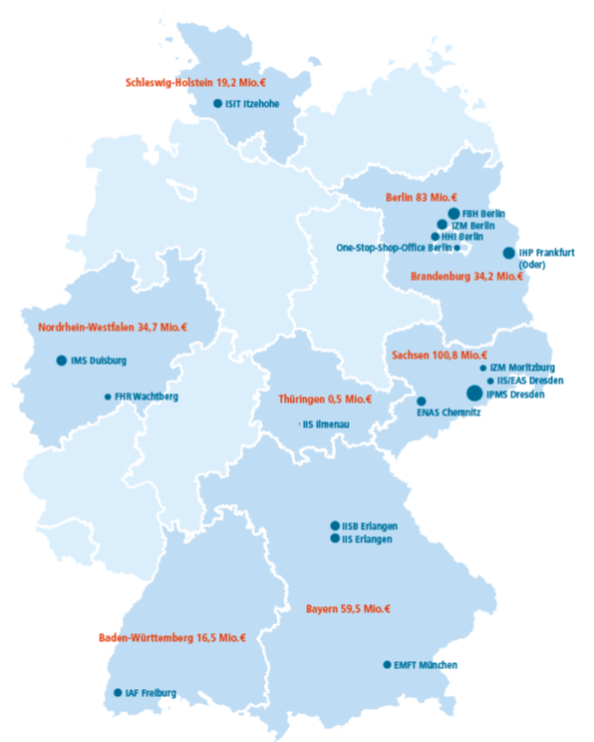 Most of the planned funds have been desicated for the semiconductor cluster Silicon Saxony in the State of Saxony (101 M EUR) and around Berlin (117 M EUR), see below. The former East Germany is where most high volume semiconductor prodcution (Infineon, Globalfoundries, XFab) and leading edge research and development takes place in Germany. Just recently Bosch Sensortech also announced they are heading to Dresden in Saxony fwhen they take the step to MEMS production on 300 mm wafers. However, considerable founds are to be invested across Germany in a typical German decentralized Federal way. Now researchers and companies in Adlershof outside Berlin are pushing forward joint development in microelectronics. Above all, the Ferdinand-Braun Institute, Leibniz Institute for High-Frequency Technology, conducting application-oriented research. As part of the recently launched "Forschungsfabrik Mikroelektronik Deutschland (FMD)", the institute is enganging additional experts for furture technologies at the Wista site. Dr. Irina Kärkkänen and her fellow Sentech plasma application engineers and the Sentech President Albrecht Krüger at the nearby Sentech applications lab. "The FMD is a unique chance for the German and European semiconductor and electronics industries to strengthen it internationally", says Prof. Günther Tränkle, Director of the Ferdinand Braun Institute, Leibniz Institute for High Frequency Technology (FBH). "German research is already very strong in this area, but a common structure has been missing." Now this is changing: Together with 12 other research institutes and a total of more than 2,000 scientific staff, the Adlershofer Institute is one of the world's largest pools for technologies around Smart Systems. The Federal Ministry of Education and Research is supporting the FMD with around 350 million euros, of which 117.2 million euros will flow to Berlin and Brandenburg, whereby the two Leibniz and Fraunhofer institutes will modernize and complement their technological infrastructure. The equipment from Sentech for the FMD consists of three modules, two of which are reactive ion etching cambers, that are used to etch very fine structures in wafer based production. 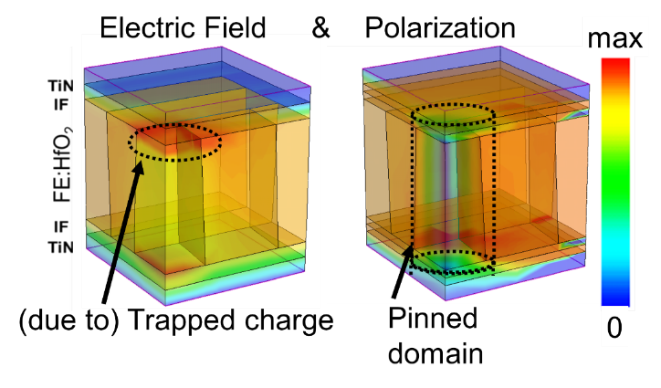 In addition, the system can be used to deposit thin three-dimensional layers on by atomic layer deposition. A technique that the FBH could not access previously. "Microoptics and optoelectronics are an important future field," says Krüger, "so the FMD is of great importance for the companies and institutes in Adlershof." Krüger is convinced that: "From here, important impulses for the technology will emerge." You learn something everyday - here is an interesting blog on MEMS wafer level packaging are silicon capping and thin film encapsulation, each providing benefits for specific packaging applications by SPTS. SPTS etch deposition and thermal equipment for semiconductor industry: SPTS etch deposition and thermal equipment for semiconductor industry. The discovery of ferroelectric properties of binary oxides more than 10 years ago by researchers in Dresden, Germany has boosted the interest in ferroelectrics and bridged the scaling gap between the state-of-the-art semiconductor technology and ferroelectric memories. NaMLab, a subsidy to TU Dresden and a startup company FCM, have devoted substantial resources in understanding the hafnia based ferrolectric materials in detail and here is one of their latest publication seeking to find a correlation between the performance of the memory device and underlying physical mechanisms. In a TiN/FE:HfO2/TiN based ferroelectric cell, charge trapping influences the electric field here the polarization response and corresponding domain pinning due to the charge trapping of a woken-up (left) and a fatigued stack (right) is shown. (Picture: NaMLab gGmbH SlideShare LINK). 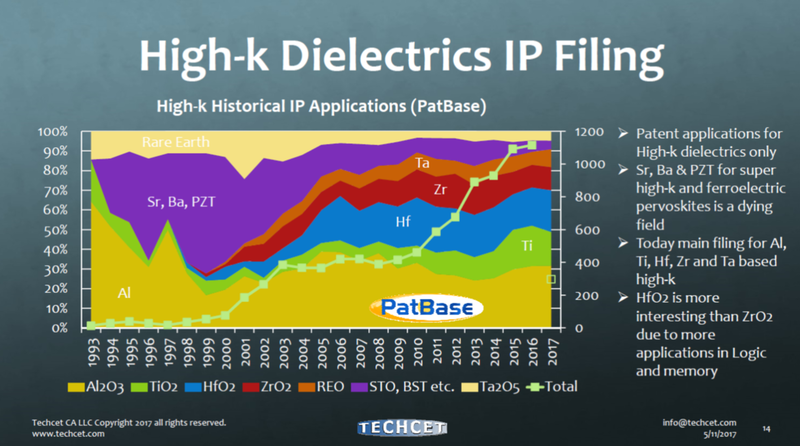 From a memory materials, process and precursor point of view it is interesting to follow the high-k material development starting with hafnia based DRAM at 90 nm in 2004 then moving to zirconia based below 65 nm and remaining strong since then and now there is an obvious opportunity for hafnia to come make a comeback in the future as a ferroelectric non-volatile memory technology. Recently I entertained myself by mapping the high-k IP that has been field segmented according to their elements. Here it is striking to see that there is almost no filing in the old school strontium, barium and PZT based ferroelectrics or "super high-k´s" nowadays as compares to in the nineties (see below, as presented at the CMC Conference 2017 in Dallas, USA). Obviously hafnia also is heavily researcher due to its use as a gate dielectric in CMOS Logic and many high-k´s are also interesting in other types of memory cells like RRAM.